Open for camping Mid-April - October 31. Winter Office Hours: Mon-Fri 9-5. Winter Camping available. 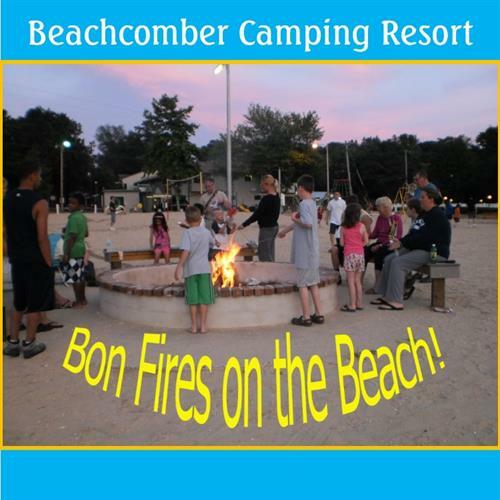 Beachcomber Camping Resort is a family owned camping resort located midway between Wildwood & Cape May, New Jersey. 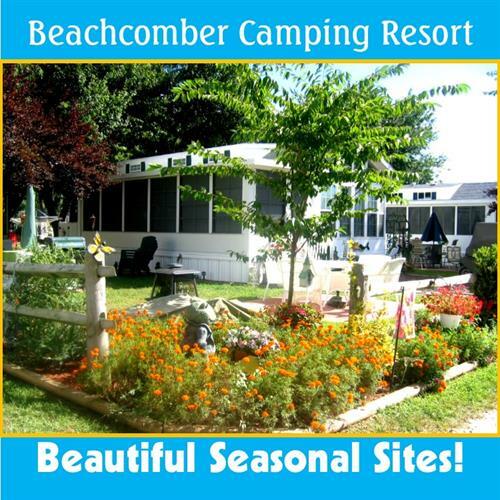 We offer camping for tents, popups, trailers, RVs & rentals, too! 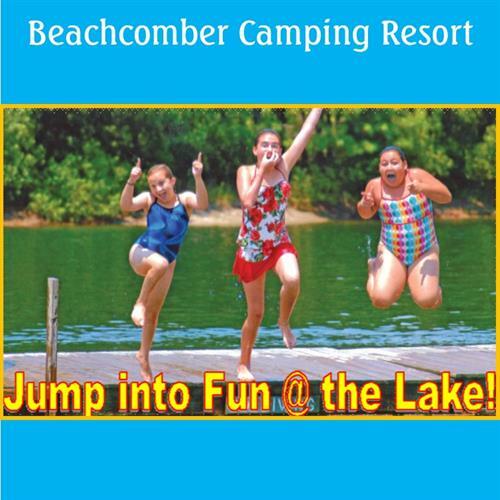 We are a full-service resort on 100 wooded acres. 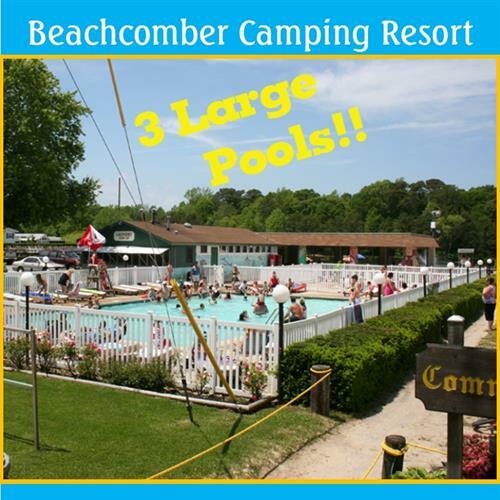 We have 3 pools, 2 fishing lakes & a swimming lake. 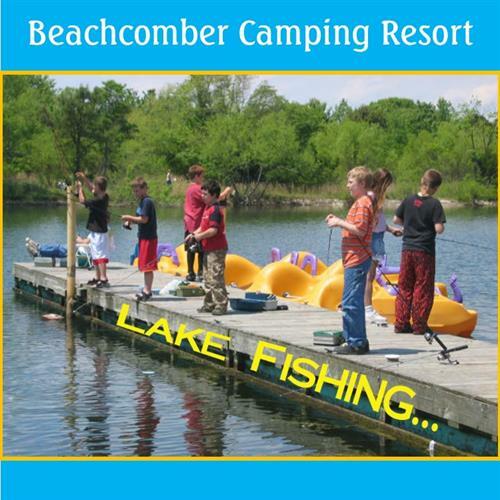 16' Lake Slide & Trampoline (open July & August) with a large white sandy beach! Free Wi-Fi Hotspots & Park-Wide Wi-Fi ($) available. 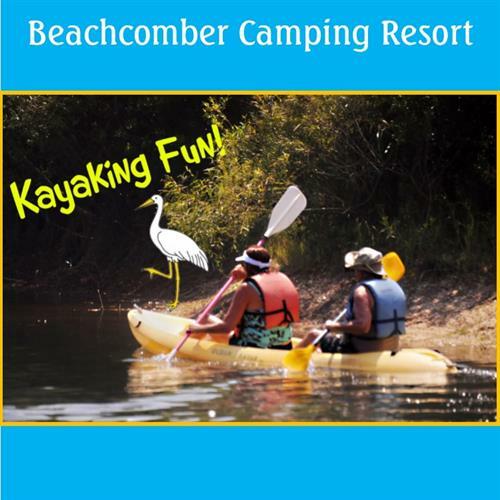 Bring your own tent, pop-up, trailer or RV & enjoy our beautiful, spacious campsites. We welcome Big Rigs on Ultra VIP Cable sites. All sites come with a fire ring & picnic table, most have concrete pads. 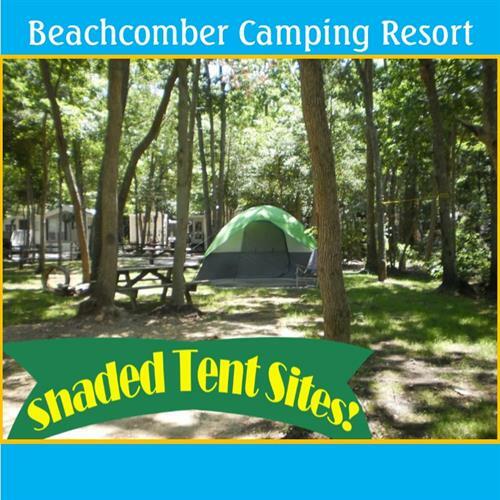 Shaded or grassy campsites to pitch your tent or hang your hammock. We offer Tee Pee's, Tiny Houses, Cabins, Park Models, a House & an Apartment to rent. Pet Friendly rentals are available too! 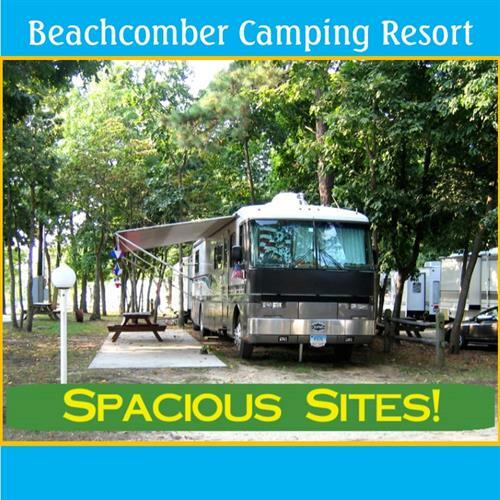 All rentals have heat & A/C, Cable TV, coffee maker, microwave, picnic table, fire ring & outdoor grill. 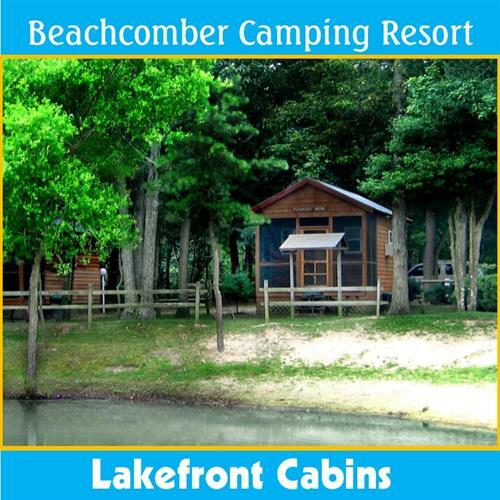 Cabins have a ½ bath, small refrigerator, & screened in porch. Park Models have a full kitchen & bath, lofts for additional sleeping & an outside deck. The Gate House & 2nd Story Apartment have 2 bedrooms, full kitchen & bath as well. We plan activities to keep the kids moving & on the go day & night. 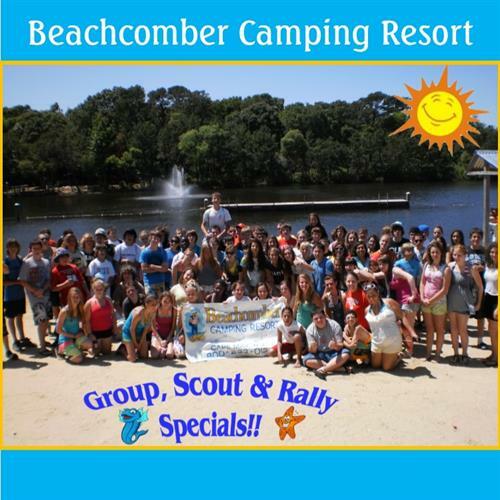 We offer Spring & Fall themed weekends with activities. In-season daily activities. We have 2 activity directors, who engage kids of all ages to participate in fun activities like arts & crafts, character lunches, 5K runs, swimming, kayak races, zombie runs, wet & wild hayrides, keg rodeos, magic shows, dances & so much more! Now offering Winter Camping! From the Garden State Parkway: Take the Parkway South to Exit 4A (Route 47 North) to the 3rd traffic light. Turn left onto Railroad Ave/Seashore Rd. 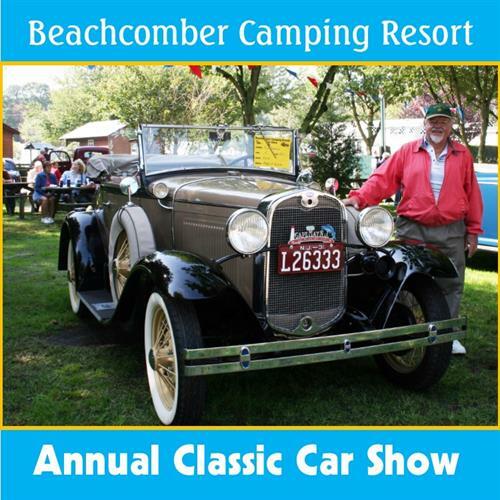 Beachcomber's entrance is less than 1 mi. on Right.